Afrizan Personnel is a recognised BEE recruitment specialist and industry leader. With quality at our core, such recognition only strengthens our resolve to remain a leading sourcer of scarce skill and high calibre equity candidates. We continue to grow and succeed with each passing year and are excited to build further on these accomplishments. 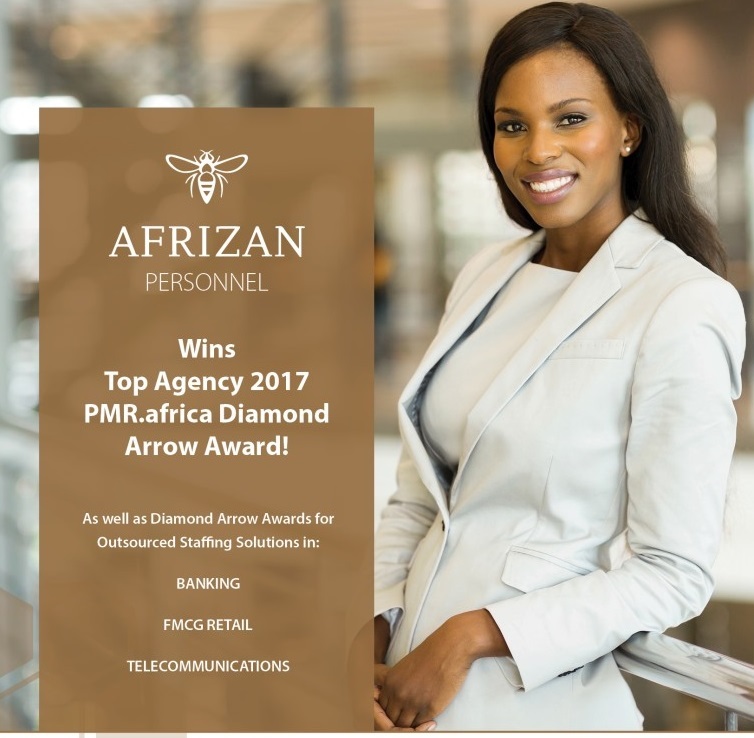 Thank you to our clients for their continued trust and support, and for the vote of confidence that secured us PMR.africa awards for the 4th year running! Afrizan is a 51% black owned and 32% black female owned Empowering Supplier and QSE level 2 entity. Procurement spend with us therefore not only counts 125% but also counts towards 4 out of 5 Preferential Procurement categories.